Hand Readings of famous people: Why is Leonardo DiCaprio unmarried? Most Hollywood stars marry once or twice, if not thrice. However, Leonardo DiCaprio is a known player. He doesn't seem to want to marry. What makes him different from his famous colleagues in Hollywood? Reading his hand was the nearest I could get to for an answer. moodiness. There is also an enjoyment of solitude, sensitivity (enhanced by the sensitive tips on the fingertips) and at times an imagination that can border on the morbid. 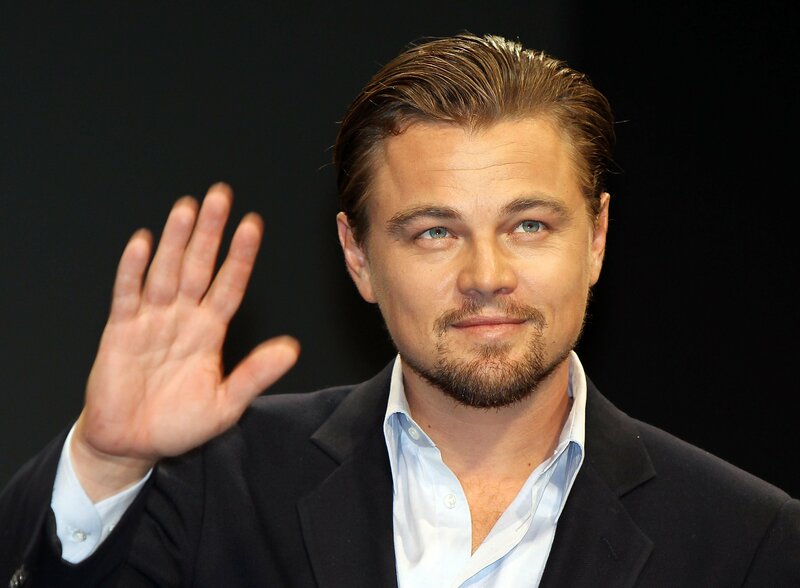 Check out a hand photo of Leonardo Dicaprio's here. Many people with a dominant Moon mount do marry however, even if they do not make the best partners; often remaining kind of 'autonomous'. Very successful people on the other hand are unlikely to succumb to societal pressures when it comes to their personal life. There are other reasons why Leonardo could be a commitment-phobe. Leo's Headline and fingers show that he is a practical man, but his Heartline shows that he tends to be sensual and sexual rather than romantic and idealistic when it comes to his loved one. Such people usually do not have a huge problem moving on in relationships. 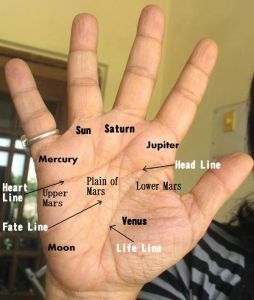 Other features of his hand are a fleshy palm with slightly thick and bent fingers and developed lower phalanges, particularly that of Apollo and Saturn. All this shows the love of luxury, attachment to status symbols and the good life. It also shows that he can be surprisingly mean. This does not mean that Leonardo Dicaprio is mentally cold, because even though his Venus Mount is not heavily developed, it is normal. His Heartline does not suggest coldness, although manipulative and at times mean behavior is possible (shown elsewhere on the hand). Mars would give him sufficient fire of temperament, although this is different from sexual passion. The development of the Upper Moon Mount is only positive, revealing extraordinary ability. His pragmatism, common sense and willpower (seen from the Headline, fingertips and thumb), all adds to the success quotient, as does his manipulative ability. The sensitiveness which tends to makes him hyper aware of his surroundings and the vivid imagination would be an asset in the profession he is in. Although he has a materialistic outlook, philanthropy is shown on his hand (mainly from the thumb setting). This points to a good human being, despite his known fickleness when it comes to love. And perhaps one day Leonardo’s pragmatism could make him commit. He would be happy with someone as autonomous as him, someone not demanding, and someone who will give him plenty of creative space. You might also like Tom Cruise's hand reading or Ben Affleck's Hand Reading or Hugh Jackman's hand reading or read the hand analysis of plenty of of other Hollywood actors, both men and women. I think society does not like people being autonomous and sensible. It invents systems like 'marriage' to control them. Certain people think that they are too clever, but Karma will catch up with them eventually, anyway. the heart line ends on mount of saturn....i think that makes him cold and selfish.Am i right? Rajesh, thanks for your comment. Cynic,one sign cannot be taken to mean something, specially something as serious as you have mentioned. And remember that being cold and selfish are two very different characteristics. They can be found separately in a person, one without the other. In fact they usually are. And when the Heartline ends on saturn, it does not mean selfish. This characteristic is not shown by the Heartline ending on Saturn. At times coldness can be shown by a very short, thin and weak heartline, and by short I mean barely reaching saturn. Even this has to be confirmed by other signs. Secondly, although Leonardo's heartline does appear to fade away after reaching the mount of Saturn, we cannot be a hundred percent sure unless we see a clear print of the hand. There is no such thing as a flag sign and even a triangle on the hand is uncommon. However rough shapes like squares and triangles are often formed by criss-crossing of lines (none of which are main lines). One needs to examine whether these crossing lines harm the Sunline, and how deep they are before arriving at any conclusion. The state of the Sunline afterwards is also to be looked into. But very generally speaking, if it is indeed a rough triangle (not formed by the main lines) and one which does not harm the Sunline in anyway it would be considered a positive sign. Sankaravelyudhan, thanks for your comment. However, let me remind you that the these "marriage lines" are fairly inaccurate. For example I know people with two of these lines with one happy marriage, and others with the same lines not ever having being married. I also know someone very well who has a line curving upward who is happy married for many years. Interesting people...yes of course I will keep them in mind. Need to get hand photos...I need at least a dozen palm and hand photos before I can proceed.